The Epic Booth is our modern, open-air DSLR photo booth that produces lab-quality printed photos. It’s extremely portable, but packed to the gills with amazing features. Photo filters, green screen, animated GIFs, you name it. Let’s create magic together! This is NOT your dad's photo booth. The GIF Booth takes a series of photos and then stitches the photos together to create a totally hilarious animation. Guests can instantly share the branded GIFs to their phone via email or text message, and to their favorite social media site. The iRoam is our totally mobile, all-digital iPad photo booth. Our staff will roam around your event (or set up in front of a backdrop) posing guests and taking their pics. Then we’ll flip the device around and let guests instantly share their branded photos via text or email. 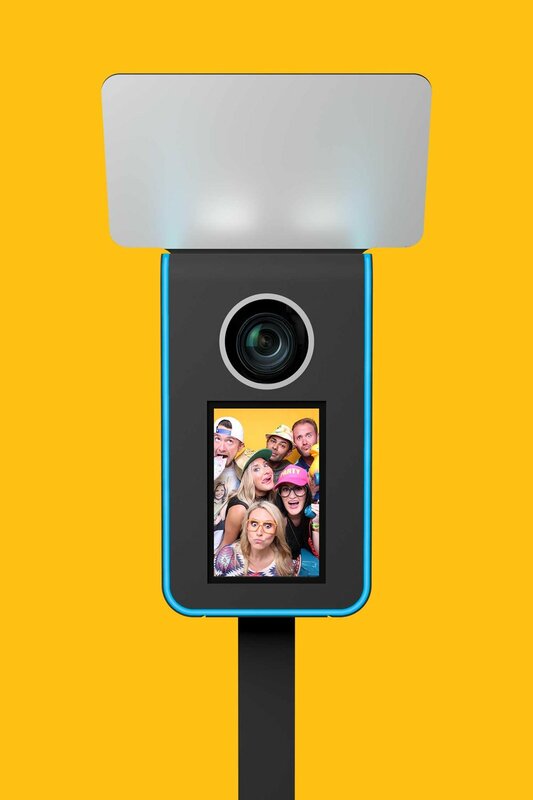 With the Printagram, every guest at your event has a photo booth in his or her pocket! Guests, and/or event staff, take selfies and then share them on Instagram with the event's designated hashtag. The pics are automatically branded and printed for guests to take home. Take your photo booth or GIF Booth to the next level with our GINORMOUS Slideshow Wall. We'll rotate two 70" tv's vertically and then position them side-by-side, creating an impossible-to-miss slideshow wall. It's quite the spectacle!